As the autumn leaves begin to dwindle, the holiday season will begin to take over. 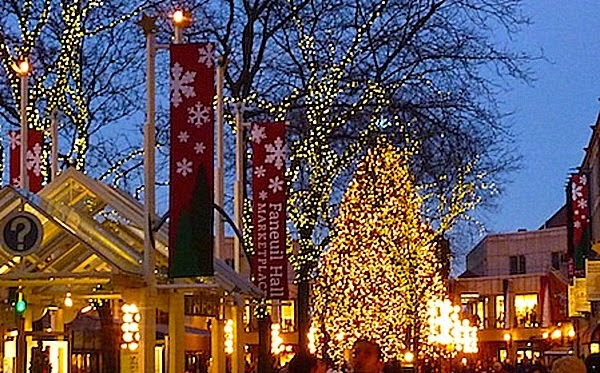 In Boston, the season kicks off with etherial tree lighting ceremonies that will surely bring warmth to your heart for the holidays! Beginning at Faneuil Hall on November 22nd, Blink! will have a light show to remember! For the last three years, a new tradition has been born where every inch of the open marketplace is transformed into a holiday wonderland. This is the first tree lighting ceremony of the city, and it uses over 350,000 low energy LED lights to light up the marketplace, as well as a giant Christmas tree that is even bigger than the one at Rockafeller Center! To top off the ceremony there will be recorded music by the BSO Holiday Pops. Do not worry if you cannot make it to the ceremony starting at 4:30 pm on November 22nd, because there will be nightly performances until January 4th. Stop by, and bring a toy to donate as Faneuil Hall is an official toy drive drop off station! The Boston Common Holiday Lighting on December 4th will be the 73rd annual ceremony to be held. 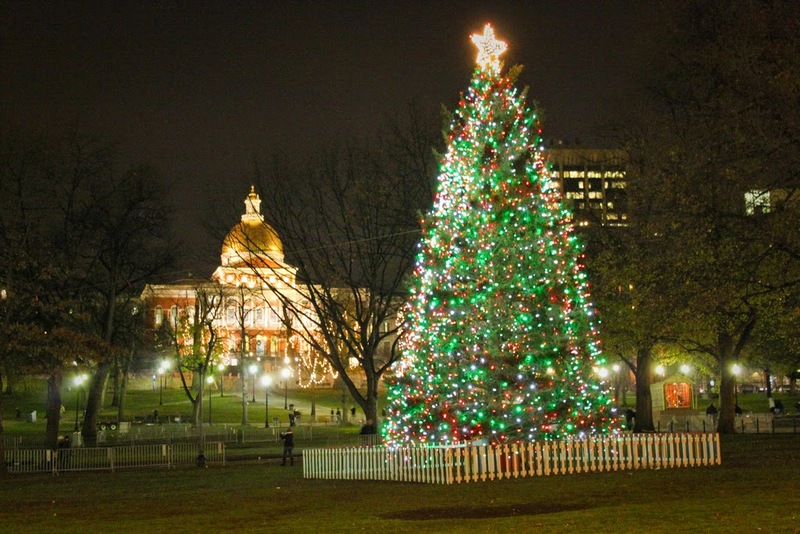 This tradition lights up the entire Boston Common and Public Garden, and includes a breathtaking tree from Nova Scotia. This special tree on Tremont Street symbolizes the friendship between Boston and Nova Scotia. After a horrific explosion in the Halifax Harbor on December 6th, 1917, Boston was the first to send help. To compliment the magnificent tree sent from Nova Scotia, there will also be 10 fully decorated trees around Frog Pond. This event will be televised on WCVB beginning at 7 pm! 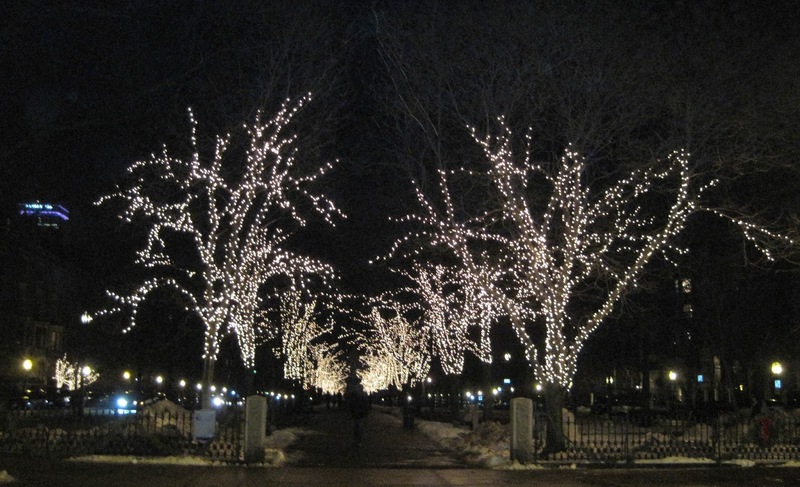 After the Boston Common Holiday Lighting, Mayor Walsh will gather with Back Bay residents at the Commonwealth Avenue Mall on Arlington Street. At this lighting ceremony there will be complimentary hot chocolate and warm cookies for all! If you cannot make this event, the trees will all be lit in magnificent white lights until April 1st. Explore the entire city during the holiday season! Boston is filled with whimsical decorations and heart warming spirit at this time of year. After a day of exploring the city, make sure you rest your head at the Clarendon Square Inn. This bed and breakfast is the perfect spot for a romantic holiday get away!